Developing an appropriate sampling frame is a difficult task, In many countries, particularly in developing countries, reliable information about the target population may not be available from secondary sources. Government data may be unavailable or highly biased, Population lists may not be available commercially, The time and money required to compile these lists may be prohibitive, For example in Saudi Arabia, there is no officially recognized census of population. no elections. and hence no voter registration records. and no accurate maps of population centers. In this situation. the interviewers could be instructed to begin at specified starting points and to sample every 11th dwelling until the specified number of units has been sampled. Given the lack of suitable sampling frames, the inaccessibility of certain respondents, such as women in some cultures and the dominance of personal interviewing, probability sampling techniques are uncommon in international marketing research, Quota sampling has been used widely in the developed and developing countries in both consumer and industrial surveys, Snowball sampling is also appealing when the characteristic of interest is rare in the target population or when respondents are hard to reach, For example, it has been suggested that in Saudi Arabia graduate students be employed to hand-deliver questionnaires to relatives and friends, These initial respondents can be asked for referrals to other potential respondents. and so on. This approach would result in a large sample size and a high response rate. The use of Internet sampling in international marketing research must consider the possibility that Internet availability and use could vary markedly among countries, Many countries may lack servers, hardware, and are, and this lack of technical infrastructure makes Internet research difficult and expensive, In addition. there may be cultural differences in attitude toward and usage of the Internet, For example, in Latin America the attitude toward Internet research is not positive due to the respondents missing social interaction with others while participating in the research. Sampling techniques and procedures vary in accuracy, reliability and cost from country to country, If the same sampling procedures are used in each country, the results may not be comparable, To achieve comparability in sample composition and representativeness, it may be desirable to use different sampling techniques in different countries. Research in the United States has shown that most consumers feel that a purchase is accompanied b) a degree of risk when they choose among alternative brands, A study was conducted to compare the U.S. results with those from Mexico, Thailand and Saudi Arabia, The targeted respondent in each culture was an upper-middle-income woman residing in a major city However, differences in sampling occurred across the countries, In the United States, random sampling from the telephone directory was used, In Mexico, judgmental sampling was used by having experts identify neighborhoods where the target respondents lived; homes were then randomly selected for personal interviews, In Thailand judgmental sampling was also used, but the survey took place in major urban centers and a store intercept technique was used to select respondents. 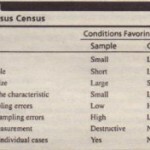 Finally, in Saudi Arabia, convenience sampling employing the snowball procedure was used because there were no lists from which sampling frames could be drawn and social customs prohibited spontaneous personal interviews Thus, comparability in sample composition and representativeness was achieved by using different sampling procedures in different countries.